Jennifer Hunt is available for weddings, public and private events, recording, recitals and concerts. She plays as a solo musician and frequently collaborates with piano, guitar, violin, cello, string quartets and trios. Jennifer was amazing to work with and listen to during an Advent Season performance at our church. Jennifer was fantastic, professional and talented! Jenny unfortunately came down with strep throat the day of my wedding which was very hard to hear on the phone. With that news along came the information that another musician was going in her place that knew the music required. Although not what I planned, it worked out great! Love people who come to you with a solution to the problem and no additional stress attached! Jennifer grew up surrounded by music. She began her formal music education at the age of eight taking piano lessons in Dillon, Montana. She continued studying piano for eleven more years. She began playing the flute at the age of eleven. She completed her undergraduate degree in Flute Performance as a Presidential Leadership Scholar at the University of Montana, where she studied with Margaret Schuberg. While there, she completed secondary degrees in History and Spanish. She has performed in the Oxford Flute Summer School for Michael Cox, principle flutist of the BBC Symphony, and Peter Lloyd, retired principle flutist of the London Symphony Orchestra. During other summer masterclasses, she has studied with Ian Clarke, Bradley Garner, Clare Southworth, and Goran Marcusson. 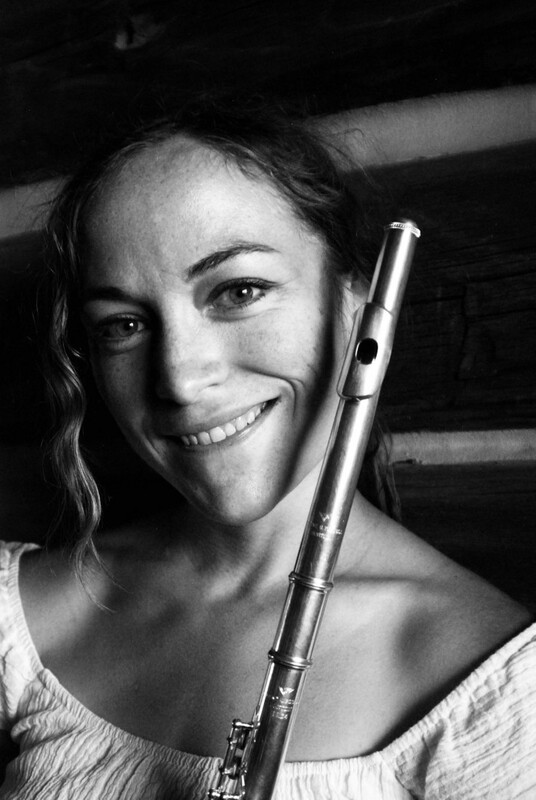 Jennifer Hunt is currently studying to receive a master’s degree in Flute Performance from The Hartt School. There, she studies with Janet Arms, flutist of the New York City Opera. At Hartt, Jennifer is a member of the Hartt Symphony Orchestra, Hartt Independent Chamber Orchestra, Collegium Baroque Ensemble and the Contemporary Players Ensemble. She has been a featured soloist and chamber musician for the Dillon Concert Association in Montana, combining performances with school workshops. As part of a woodwind trio, she competed in the 2009 Fischoff and Coleman National Chamber Music Competitions. She performed as part of the Missoula Symphony Orchestra, the Montana Lyric Opera Orchestra, and the 2010 Symphony Orchestra Academy of the Pacific. In January of 2011, she was a finalist in the Coeur d’Alene Symphony Young Artist Competition. Combining her passions for music and service work, Jennifer created, organized and performed in “Bach and Roll for Haiti,” a series of concerts to benefit Save the Children relief efforts in Haiti. She has also been active working to incorporate music and the performing arts into education by orchestrating music and theater projects at schools in Peru and on the Flathead Indian Reservation in Montana. She has taught masterclasses for local high schools as well as coached high school chamber musicians. While she is primarily classically trained, Jennifer also has experience playing some jazz, bluegrass, Peruvian and American folk music. Jennifer will likely complete her master’s degree in Flute Performance in May of 2012.